Merchants Bonding Company is partnering with Iowa Governor Kim Reynolds’ STEM Advisory Council and the Iowa Department of Education to help turn six high-poverty elementary schools into models of innovative computer science instruction as part of the new “Computer Science is Elementary” project. Each selected school will receive a $50,000 award thanks to private-sector sponsors like Merchants. 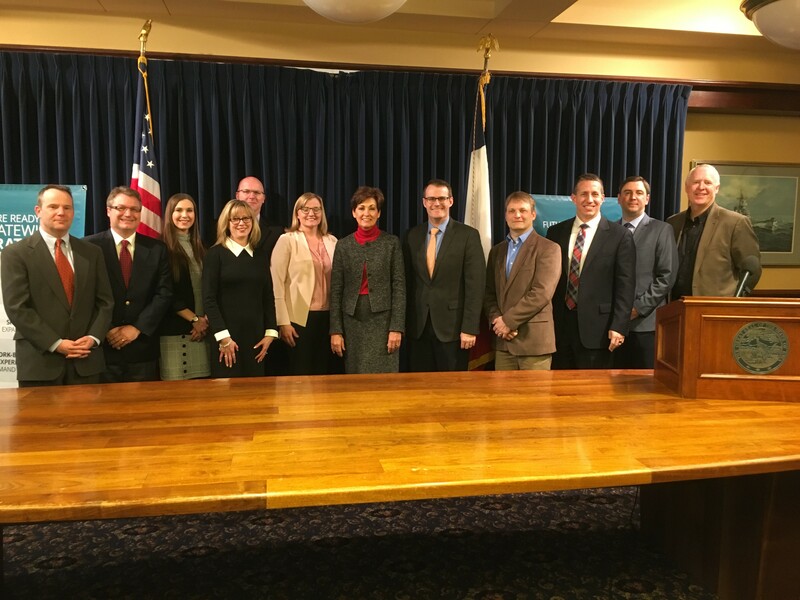 Merchants Chief Information Officer Brad Rasmussen attended a press conference today with Governor Kim Reynolds to introduce the project, which aims to transform the schools with programs including career exploration with employer partners, no later than the 2020-21 school year.